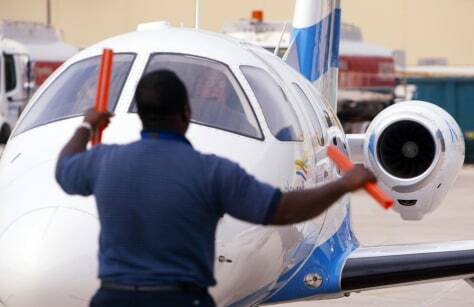 An airport worker directs an Eclipse 500 DayJet plane as it prepares to take off. A pair of 'air taxi' companies launching jet service this month from smaller airports will have an easier time attracting customers thanks to record delays plaguing major carriers. But experts say the service has the potential to worsen the congestion this new business model aims to avoid.